Is Dean Foods Co (DF) a Good Stock To Buy? We have been waiting for this for a year and finally the third quarter ended up showing a nice bump in the performance of small-cap stocks. Both the S&P 500 and Russell 2000 were up since the end of the second quarter, but small-cap stocks outperformed the large-cap stocks by double digits. This is important for hedge funds, which are big supporters of small-cap stocks, because their investors started pulling some of their capital out due to poor recent performance. It is very likely that equity hedge funds will deliver better risk adjusted returns in the second half of this year. 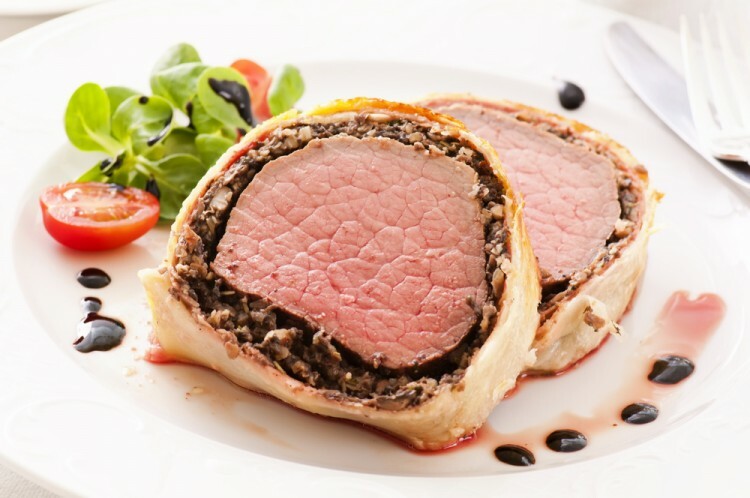 In this article we are going to look at how this recent market trend affected the sentiment of hedge funds towards Dean Foods Co (NYSE:DF), and what that likely means for the prospects of the company and its stock. Dean Foods Co (NYSE:DF) shareholders have witnessed a slight decrease in activity from the world’s largest hedge funds during the third quarter, as the number of funds tracked by Insider Monkey long the stock inched down by one to 20. The level and the change in hedge fund popularity aren’t the only variables you need to analyze to decipher hedge funds’ perspectives. A stock may witness a boost in popularity but it may still be less popular than similarly priced stocks. That’s why at the end of this article we will examine companies such as Party City Holdco Inc (NYSE:PRTY), Werner Enterprises, Inc. (NASDAQ:WERN), and Cambrex Corporation (NYSE:CBM) to gather more data points. With all of this in mind, we’re going to go over the latest action regarding Dean Foods Co (NYSE:DF). What does the smart money think about Dean Foods Co (NYSE:DF)? Heading into the fourth quarter of 2016, a total of 20 of the hedge funds tracked by Insider Monkey were bullish on this stock, which represents a decline of 5% from the end of the previous quarter. 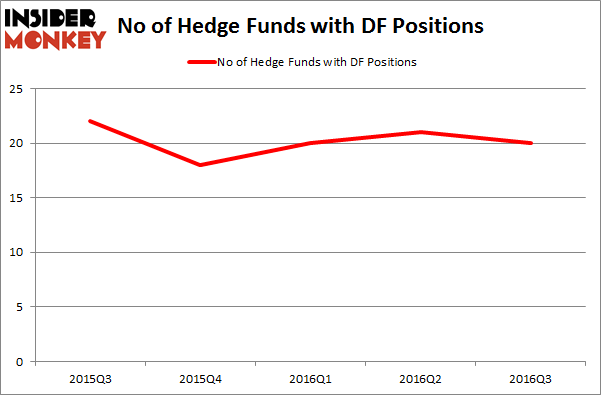 On the other hand, there were a total of 18 hedge funds with a bullish position in DF at the beginning of this year. With hedge funds’ capital changing hands, there exists a select group of notable hedge fund managers who were boosting their stakes significantly (or already accumulated large positions). According to Insider Monkey’s hedge fund database, Cliff Asness’ AQR Capital Management has the biggest position in Dean Foods Co (NYSE:DF), worth close to $62.1 million, comprising 0.1% of its total 13F portfolio. The second most bullish fund manager is Ken Griffin of Citadel Investment Group, with a $23 million position; the fund has less than 0.1%% of its 13F portfolio invested in the stock. Remaining peers with similar optimism comprise Glenn Russell Dubin’s Highbridge Capital Management, Jim Simons’ Renaissance Technologies and Joel Greenblatt’s Gotham Asset Management. We should note that none of these hedge funds are among our list of the 100 best performing hedge funds which is based on the performance of their 13F long positions in non-microcap stocks. Should You Follow the Smart Money Into Ritchie Bros. Auctioneers (USA) (RBA... Boston Beer Company Inc (SAM): Hedge Funds Finally See Something to Like Again... Hedge Fund Interest in Companhia de Saneamento Basico (ADR) (SBS) Flatlines Hedge Funds Are Growing More Bullish on Regional Management Corp (RM) Hedge Funds Are Pouring Into Sodastream International Ltd (SODA) Is Rexnord Corp (RXN) A Good Stock To Buy?